I am very pleased to welcome author Richard Writhen to So Lost in Words. 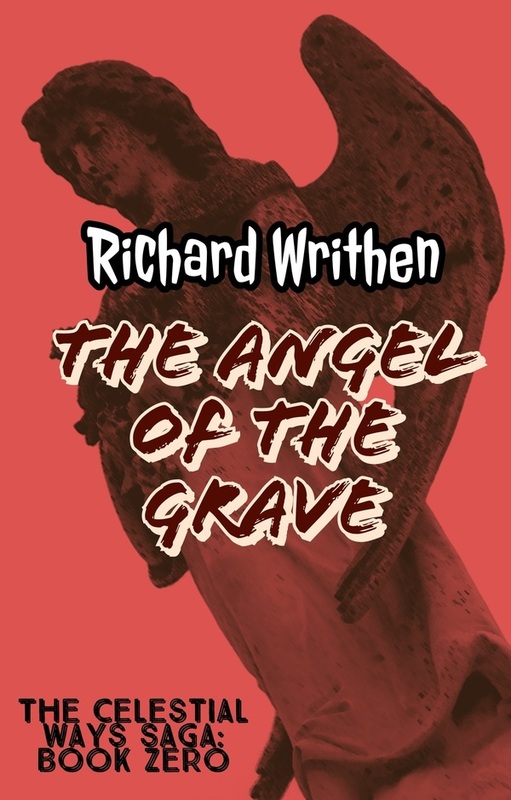 Scroll down to read an excerpt of his new book 'The Angel of the Grave' and to find out more about the author, his work and where to buy his books. An intelligent little girl encounters a talented witch at the local fair and finds out that it's all in the family. Interconnected by dreams, two young orphans embark on the long path to find a bloody revenge. A wealthy lady travels hundreds of miles to become a baroness, but when she consults a diviner, she finds out that she may be in way over her head. Shortly after dawn, the expensive clipper effortlessly cleaved its way through the frothing green waters that lay off of the coast of Corsc. It approached one of the many gray wooden quays there, and its crew began to take down the sails. The ship had been painstakingly crafted by the greatest artisans that the continent of Mestes could offer. Its thick hull was fashioned from a black pine-wood, which had been sanded and then sealed with a mixture of resins. Its hull was painted; some of the segments were a midnight blue in color, and others an olive green. It was almost fifty feet in total length, featuring a towering center mast and three billowing white sails, each painstakingly embroidered with long red lines. Once it had been secured at the dock, it was almost immediately boarded and searched by several representatives of the Hruutian Guard. That force had been stationed there on the coast in virtual perpetuity, in order to prevent a profusion of illegal substances that had been smuggled into Galgran from neighboring countries. It only took a few minutes for the black-booted soldiers to find that all of the vessel’s papers were in order; then, its passengers were allowed to disembark, filing down the gangway in a steady stream. One of the very last people to step off the ship, Marissa Seftrey was a fresh-faced young woman of about twenty-one years of age. She had a folded parasol under one of her arms. She was dressed in a light pink dress, with a bonnet to match, her chestnut brown hair falling in cascades from under it. A wide pink bow tried vainly to hold everything in place. Marissa was originally from Caledavor, one of the countries on Mestes, the continent that lay to the south of the Watley Peninsula. She had brought some of her homeland’s artwork with her on the voyage. She was followed closely by a middle-aged woman with somewhat darker brown hair, who was pulling a wheeled chest. This was her maidservant, Neticia de Mont Noir. The two were followed in turn by three male servants of varying ages, who had been hired on the ship, to carry the rest of their luggage. The procession proceeded to the end of the quay, then stepped onto the continent of Holrud for the first time. Marissa stopped them all for just a moment, and surveyed the panoramic view of the southern coast that greeted them there. Off in the distance, she could see hills and small villages. Even further, beyond them, there was a great walled city; it was imposing in its size, with a river running through its north-west corner. The minutes went by, as they stood there. Quickly becoming bored, Marissa began to tap one of her leather-shod feet on the cobbled dirt of the road. She was waiting for someone, her eyes scanning to and fro, up and down the street. She had been corresponding through the mail with a baron of great nobility; her voyage across the sea had been planned for many months. She had come almost due northward from her home city of Bethel in Caledavor, Mestes, and was headed for the estate of Westmere. It was located in the borough of Wallins, in southern Malentan, on Watley Peninsula. She had come all this way to be the baron's blushing bride. The marriage that had been completely arranged for her by her mother, as her father had passed away when Marissa was still a teenager. She had been informed in the baron’s final letter that he and his men would be waiting to pick her up, at around the time of her arrival on the peninsula. The rest of the journey to the barony of Wallins would be undertaken by coach. The man licked his lips quickly before replying, “Oh, the coach? It’s parked just down the street a bit. And I sent the boys off on another errand … for now.” Grinning at the two women, he then offered Marissa his arm, while she had to exchange a quick look with Neticia to bolster her courage, she hesitantly took it. He led her in a stroll down the wide fairway between the buildings of what appeared to be a small town. They were as far south in Corsc as it was possible to go. In an even tone of voice, Marissa managed to say, “If I may be so bold, sir … you look to be a bit shorter than six-foot-six. I may not have the most trained eye, but I have certainly seen my share of men in my day.” The short man smiled at her again, even wider than before. “Oh, is that what I said in my letters …? !” His rheumy eyes left hers and gravitated downward, to stare pointlessly at the street for a few moments. It began to dawn on her that while they were heading north, he was also leading her, gradually and inexorably, towards an alleyway on their right hand side. The sloping roof of one of the buildings had covered the aperture between it and the next one over, forming a dimness there that approached the darkness of night. She looked from one side to the other for a few frantic moments, only then noticing an odd odor coming from the man’s proximity. He stopped them, and caught her by the chin. Her chestnut brown eyes focused on his strange black ones. Marissa wrenched her face from his grip roughly, and then began to straighten out her dress, though it needed no real attention. They had gone no more than four paces further when she suddenly felt the front of the man’s body pressed hard against hers. His gloved hand found her mouth and slipped over it. As she dashed to her lady’s aid, Neticia began to scream, vainly swatting at the man’s head as hard as she could with her own closed parasol. He staved off her attacks easily with his other hand, and withdrew moments later, but retained Marissa’s arm. She was so surprised by the sudden reversal that her exclamations trailed off into mere whimpers as the offending hand fell away from her face. She turned about, only to find that her captor was now standing motionless; he was staring down the street at another man, who was striding towards them. The new man appeared enraged; he was panting and red-faced. He also had a handlebar mustache, and was dressed in a dress jacket, over a buttoned leather vest and a white dress shirt. A red cravat was twirled about his neck and he wore well-shined, black boots. He was closely followed by three burly young men. They were dressed with much less style and opulence than their master, in faded blacks and browns, and torn denim pants. Marissa could sense that her captor was considering a sudden bolt into flight. But before he could do so, the new man pointed directly at him and then yelled, “HEY, YOU, STOP !! !” at the top of his lungs, shattering what little stillness the afternoon seemed to possess. Her captor froze up completely at this, and Marissa found herself completely released. As she was a little off-balance at the time, she fell on her bottom in a most unladylike fashion, but was far too terrified at that point to even care. Neticia rushed over and helped her back to her feet. 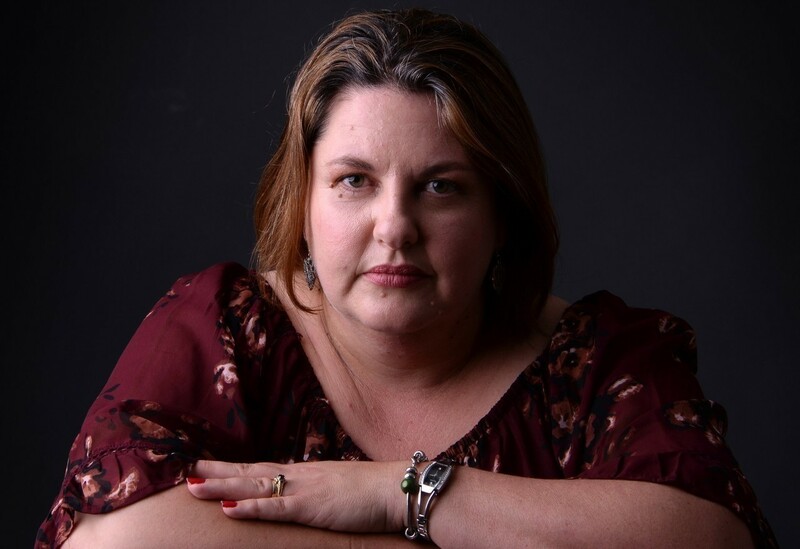 When Marissa turned about to look down the alley, she found that any shadowy accomplices that the short man might have had were now long gone. She could see no trace of life. By then, the new man’s three young thugs had set upon her captor. The first two of them grasped him by the arms and hauled him away from her bodily; then they drew him up, and the third one punched him hard in the gut. Her captor doubled over, his eyes tearing up and strands of saliva drooling from between his liver-colored lips. When his body had gone fully slack, they threw him down into the dust. One of the ones that had previously held his arms ran over to the alleyway, a black sap appearing in one of his hands. The remaining two began to kick him in the sides of his torso, as he rolled pathetically in the dirt into a broken wooden crate that still bore trace of the juices of rotten vegetables. By the time the other thug had returned, Marissa’s captor had fallen still, his face slack and mouth agape. The man with the sap shook his head once from side-to-side to confirm the lack of any co-conspirators still in the alleyway. The man in the dress jacket had caught up with the others during the short beating. Assessing the situation, the well-dressed man walked over to Marissa, made initial eye contact with her and extended a gloved hand. Still slightly shocked, she reciprocated, and they gently shook. But, she was nearly inarticulate, and was only able to pant out a phrase at a time. “He was ... the alley … people were in there … waiting for-” she managed. “No, you mustn’t blame yourself. It’s so good to finally meet you, in person …” she assured him. Richard Writhen is originally from New England, but has also lived in New York City. He was raised on a steady diet of eighties fantasy films, horror television and universal monster movies. After briefly attending college for music and video, he began his first online serial six years ago. 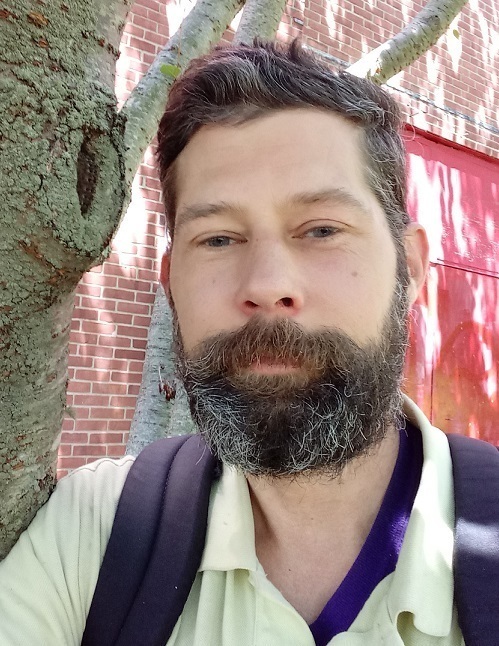 Richard has since been e-published on several notable blogs and websites and is now also the author of three independently published novellas on Amazon: A Kicked Cur, A Host of Ills and The Hiss of the Blade. He has also recently completed his first novel, The Angel of the Grave.